Mister CEO sure looks nervous and he even stutters!Guilty much! Back when we first advanced to Japanese market with S.E.S., major entertainment companies in Japan normally asked for contracts in length from 5 to 7 years. As long as the entertainer stayed with the company for the stated amount of time, the company would not cease investment into the entertainer. When we first planned for BoA to work in Japan, we set the length of the contract at 10 years to allow for long-term investment and a partnership with a major Japanese entertainment company. This resulted in SME working with AVEX, the largest entertainment company in Japan. BoA’s great success in Japan was a product of such planning. On January 6, 2009, the three members told SM that they were going to China for a vacation; but in fact, they attended a meeting with the beauty product company’s Chinese subsidiary to talk about investment into the company. We only realized of the deal after photos of them promoting the company surfaced online. We then learned that the three members are board members of the Chinese subsidiary and that they even carry business cards of the company with their name and position engraved. The three members demanded an increase in their share in profit and we accepted their demands. In April, we had a dinner party after our concert in China. The three members told members of other groups about how much they trusted in SM. Shortly after in May, a Japanese fan asked AVEX’s customer service department regarding an event by the beauty product company which claimed that the winner would have dinner with DBSK. SME feared that losses resulting from matters related to the beauty product business would be impossible to recover from. We wanted to review the members’ contracts with the beauty product company to protect the members from potential dangers but they refused to share the contract with SME and did not take any actions to relieve SME from our concerns regarding their investment into that company. In June, a major beauty product company contacted us and said that they wanted to use DBSK in their commercials but the three members refused due to their own interest in beauty product business. Shortly after they took legal actions against SME. The truth face of their action is a fraud. A fraud which fooled the entire nation with words such as “human rights” and “slavery”. Talent powerhouse SM Entertainment has vowed to fight back and win against a court ruling last week which granted three members of boy band TVXQ partial victory in their request to nullify their exclusive contract with the agency. In late July, TVXQ members Hero Jaejoong, Micky Yoochun and Xiah Junsu had applied for provisional disposition of their 13-year contract with SM to which a court ruled that the agency will not interfere in their individual activities. SM also declared that they will ask the three for compensation amounting to over a total 2.5 million dollars for the losses and damage incurred upon the group and the agency with the ongoing legal action, should the court rule in favor of SM in its final verdict. They went on to explain that the terms of the contracts had been adjusted every year in favor of the members and are now asking to be freed from them since they are starting to see success. “This ruling will cause confusion in the entire entertainment industry and make it impossible to create a system where (agencies) will be able to upbring their stars with long-term prospects,” SM added. The statement came just hours before a news conference set for later in the day where they plan to talk about their position in more detail. TVXQ, who debuted in 2004 with album “Hug”, is one of Korea’s most successful K-pop groups. They are stars throughout Asia, reportedly having the largest fanbase in the world, and have enjoyed great success in the Japanese music industry in particular. The fathers of Yunho and Changmin, the two TVXQ members who were not involved with the controversial lawsuit earlier this year, spoke up in support of their sons and SME while condemning other three members and their parents. They claimed that the dispute has more to do with the trouble that have arisen from the beauty product business rather than contractual matters. The two members who did not involve themselves in this legal dispute are the real victims here. They suffered from financial loss, psychological suffering and most importantly they lost their reputation. Who is to compensate them for their losses? I intend to ask the three members this: Whatever the reason, why do you intend to cause such great controversy and drive DBSK, an international brand name, into a break-up? Do you care at all about the other two members and their suffering? The beauty product business wasn’t something that was supervised by SME. On top of that, the beauty product company itself wasn’t very trustworthy. When it was started, I felt that DBSK’s reputation could potentially suffer from involvement with that company and advised my son of the issue. He shared my concerns as well, and that is why he did not involve himself in the business. SME later asked the three members to withdraw from the business but their parents resisted unreasonably. Mr. Shim (Changmin’s father) and I tried to convince them as well but they simply refused to change their minds. 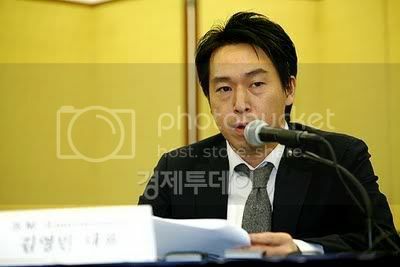 I later learned that the three members took up legal actions against SME without consulting me nor Mr. Shim. DBSK is not owned by those three members only. They ignored not only the controversy that would rise but also the rights of other two members. I’m going to ignore this. Living in denial. Yunho and Changmin of DBSK/TVXQ have stated that they are on SM Entertainment’s side on the legal dispute between the company and other three members. They said that they trust SME and will be with them in the future. The two also gave a deadline to other members, saying that DBSK will come back to promote in Korea next spring, so the other three members must make a decision before the 12th of this month. 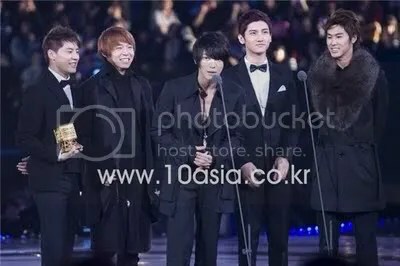 We five members of DBSK signed the same contract with the same clauses and for the past five years, and have worked together under same conditions with utmost trust in the company, each other and our dreams. We intend to share our dream and future with the company and keep the promises we made in the contract. DBSK was made by SM and we intend to work as DBSK with SM. 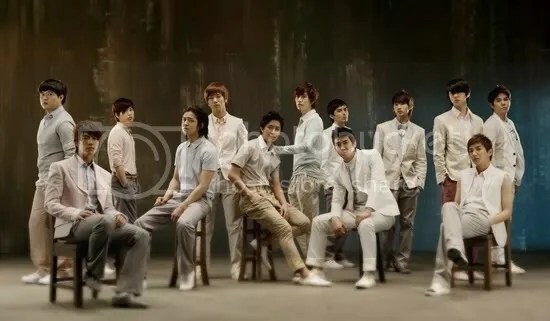 No other company can create DBSK, as only SM can provide the best production and management team available. The three members must know better than anyone else that SM is the one who knows DBSK the best and made DBSK the best. We intend to keep trust and promise and thus intend on staying with SME. DBSK’s grand future will be with SME. We believe that our Korean promotion, planned for next spring, should be prepared at least six months in advance before our future as one DBSK becomes unclear. If the other three members truly want to stay as one DBSK, they must make a decision before it is too late. The beauty product business changed everything,” they stated, “We are not familiar with the matters but we believe that a legitimate company that seeks to do business with DBSK must consult with SM first. It is common sense. We did not get involved as getting involved with a company that sought to do business without SM would have meant that trouble was ahead. We did not want the reputation and pride of DBSK, earned by our hard work, to get ruined by a beauty product company that did not work in a legally respectable manner. We are not aware of the contract between that company and the three members, nor do we know what those members were told or how much they have earned through their deal. What we do know is that the fact that DBSK, forged together for 5 years by all of our dreams, have fallen into the current state because of an unethical company is simply unacceptable. DBSK crumbling away like this, this is all so unbelievable. It is sad to see that this was all caused by some beauty product company, and we hope that the three members would come back to the days when we were all working hard for our dreams. Omg, I’m not going to believe this. Always keep the faith! TVXQ not allowed to continue group activities! SM Entertainment will hold a press conference today regarding the conflict with TVXQ/DBSK/Tohoshinki. Because of all this, TVXQ has not been able to work and SM Entertainment will seek to receive compensation for damages during the time that TVXQ has been inactive.